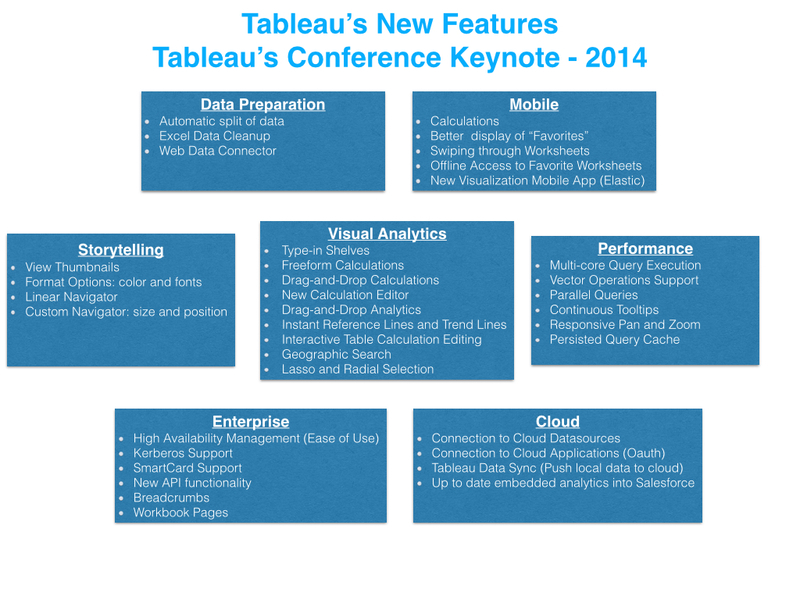 Did you miss Tableau’s Conference this year? 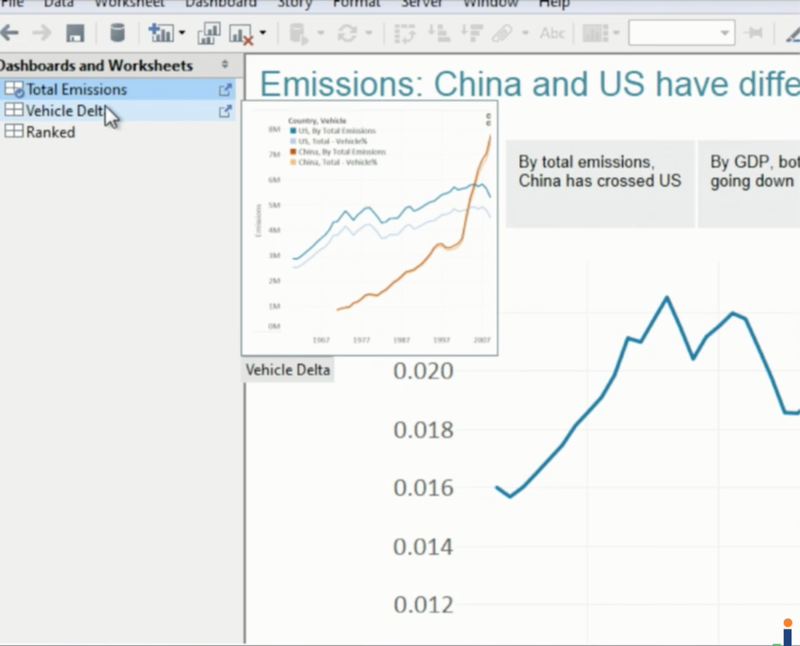 Here is a summary of the main new features coming up in future versions of Tableau products. The new features were presented by different speakers so they vary in level of detail. (Download available at the end of the post). In addition to dragging fields to the shelves, you will also be able to type-in fields. Autocomplete alternatives will be presented. 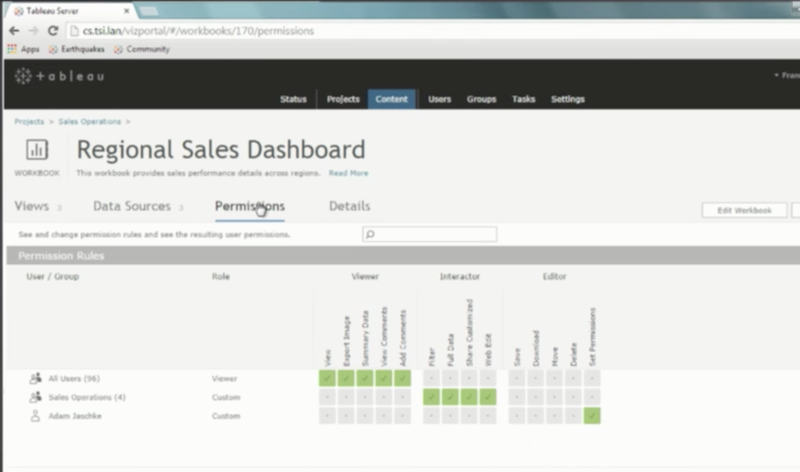 You will be able to type calculations directly in the Columns or Rows shelves without having to create a new field. Autocomplete alternatives will be presented. This new feature also includes the ability to drag and drop fields directly into the calculation on the shelf. Once you are done creating your calculation on the shelf, you can take the newly created calculation and drag it into the Measures shelf so it becomes a permanent field in the data model. It looks much simpler than the old editor, but it is actually more powerful. 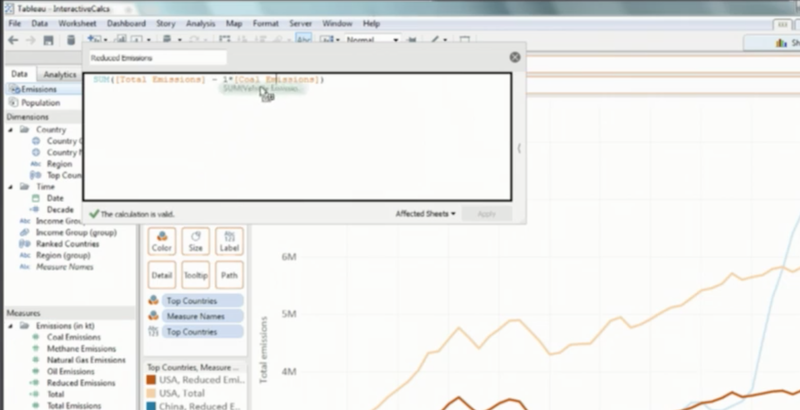 One of the things it allows you to do is to interact with the data while using the editor. 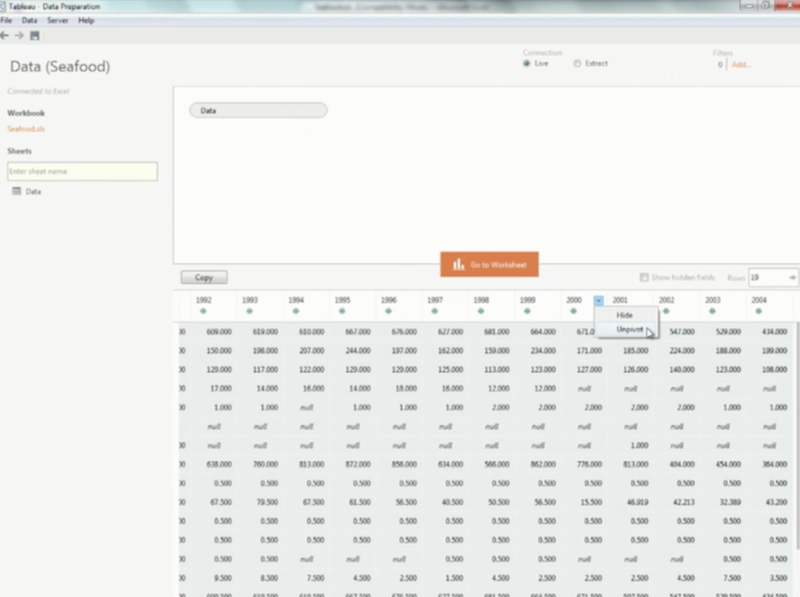 It provides auto complete and as formulas are changed, visualizations are updated. The editor also supports drag and drop, so fields can be dropped directly on the editor. 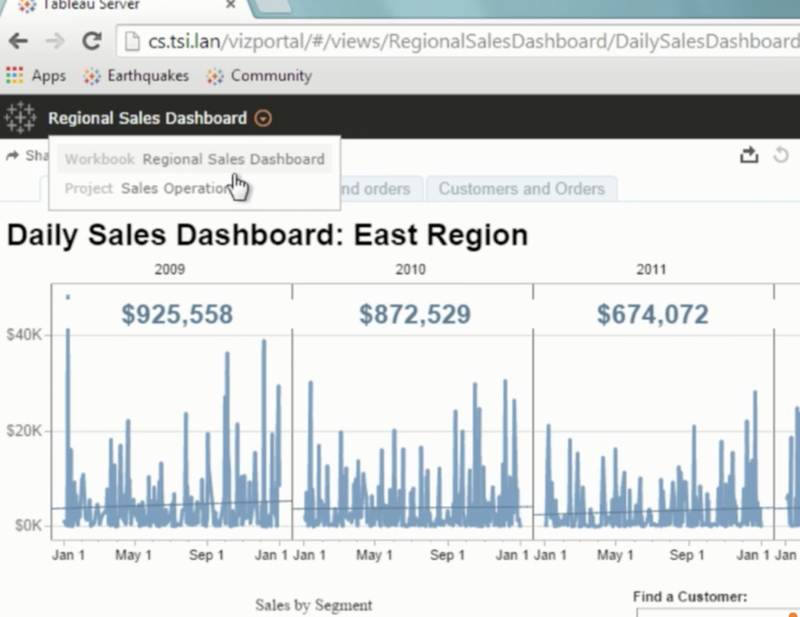 There is a new Analytics Pane. 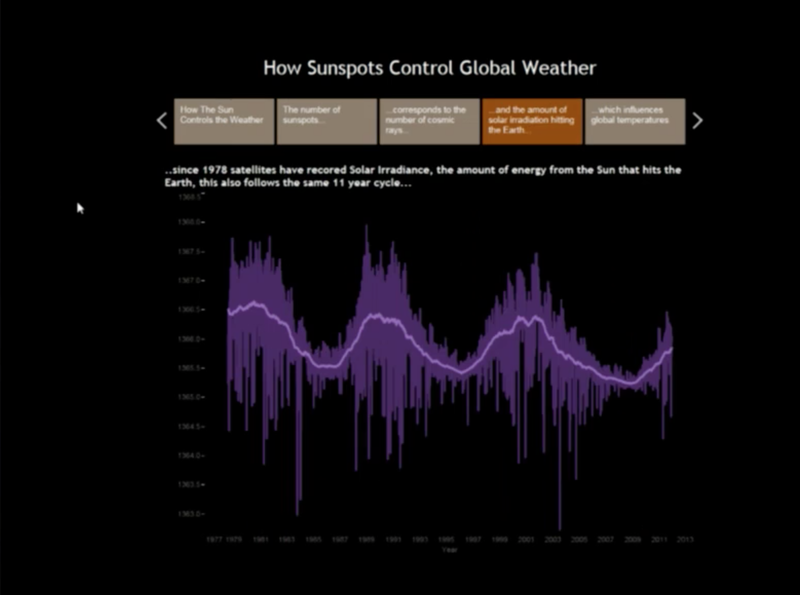 It contains the objects used to summarize, model and forecast data. 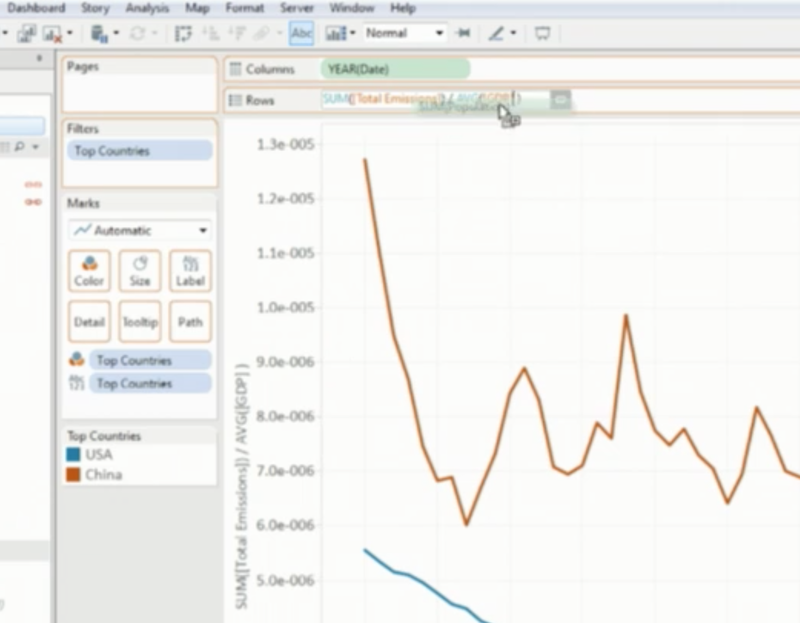 You can now drag and drop reference and trend lines. 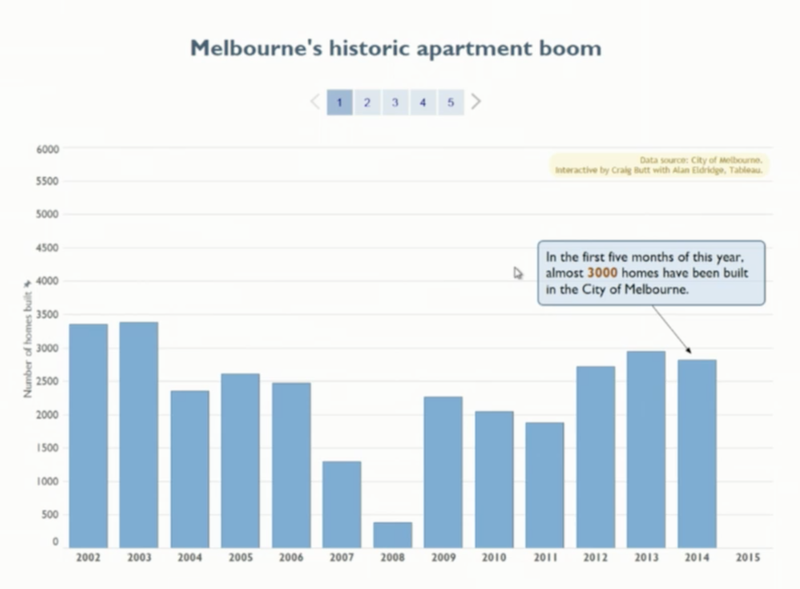 Also forecasts, medians, quantiles, box plots and more. As powerful as table calculations are, they are sometimes confusing. Table across? table down? 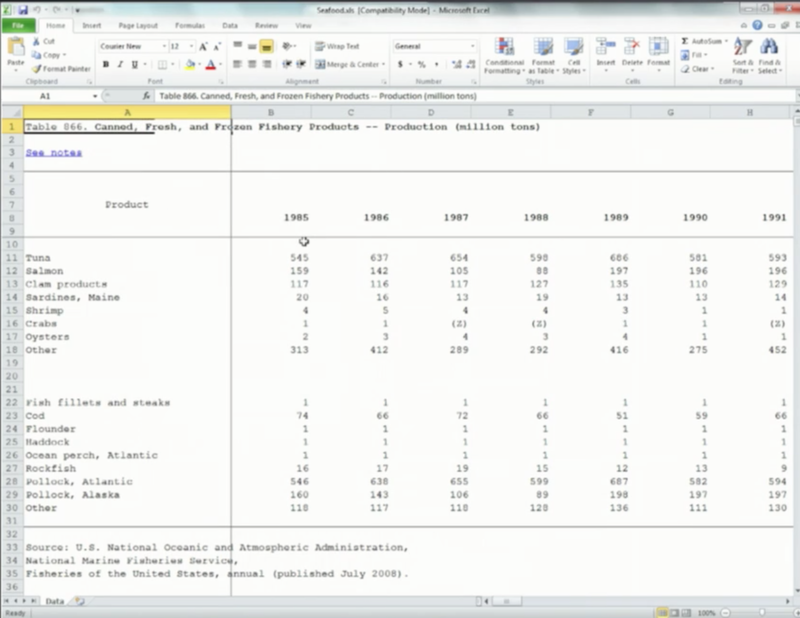 The new editor highlights how the data is being calculated once an option has been chosen on the editor. 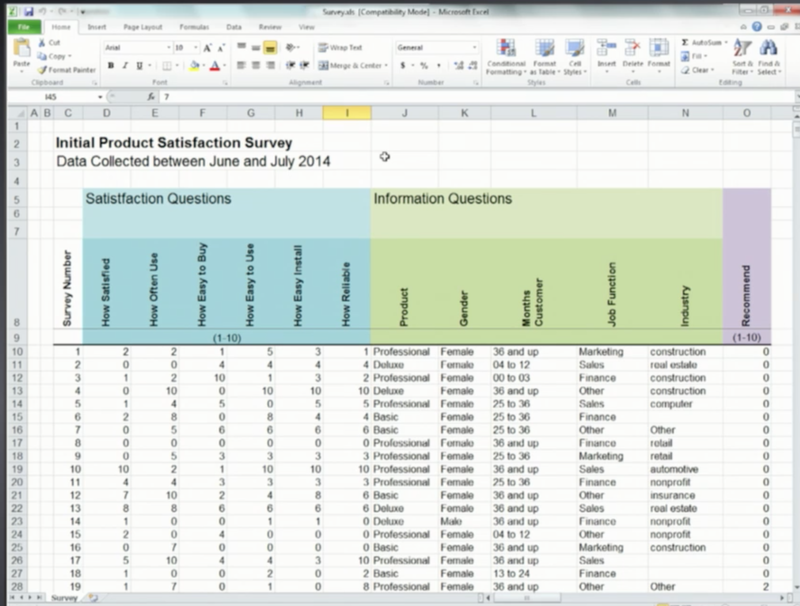 In the image below, there are three bars highlighted indicating how data points are being used in the calculation (Table Down). 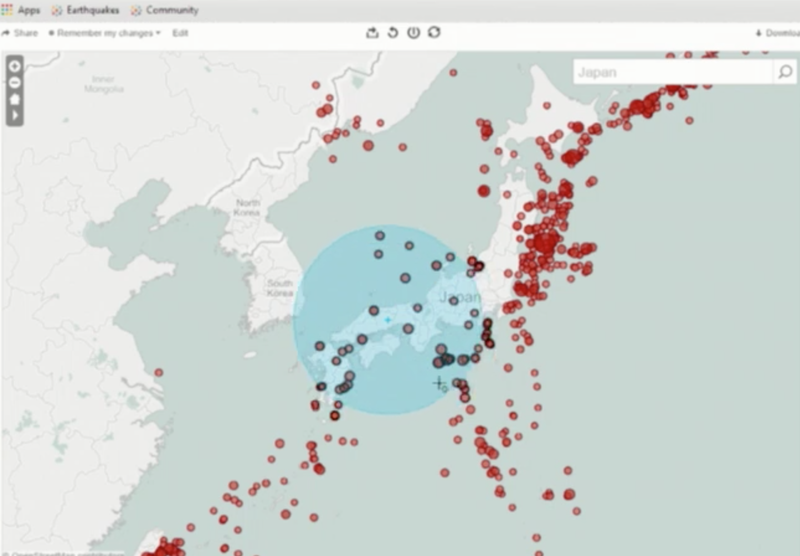 You can type in any geographic data point and the view will focus on it. Typing Greece zooms in to Greece on the map. And Country is not even part of the data. 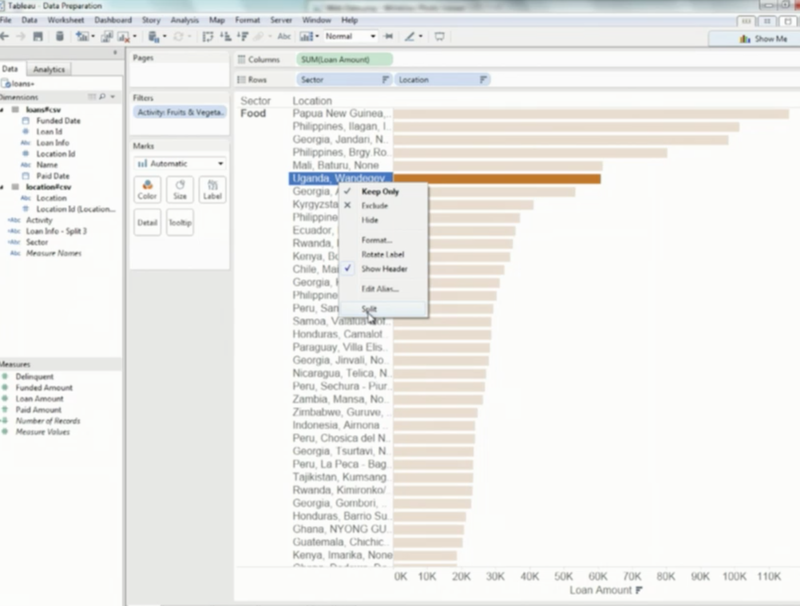 The geographical knowledge has been built into tableau. You will be able to select marks around a specific point. You will be able to select exactly the marks you need (irregular shapes). The ability to leverage multi-core query execution increases the speed of the data engine. 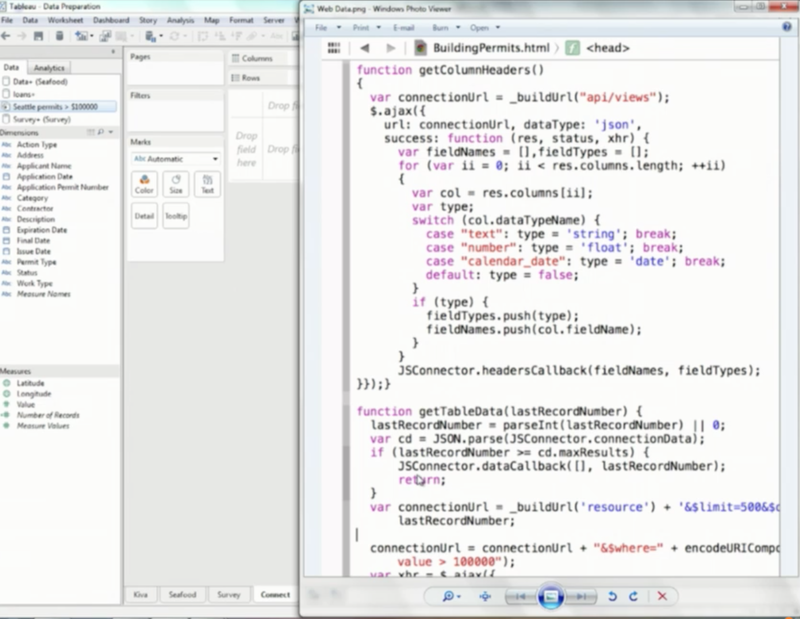 In demo systems queries are running 3 to 4 times faster. 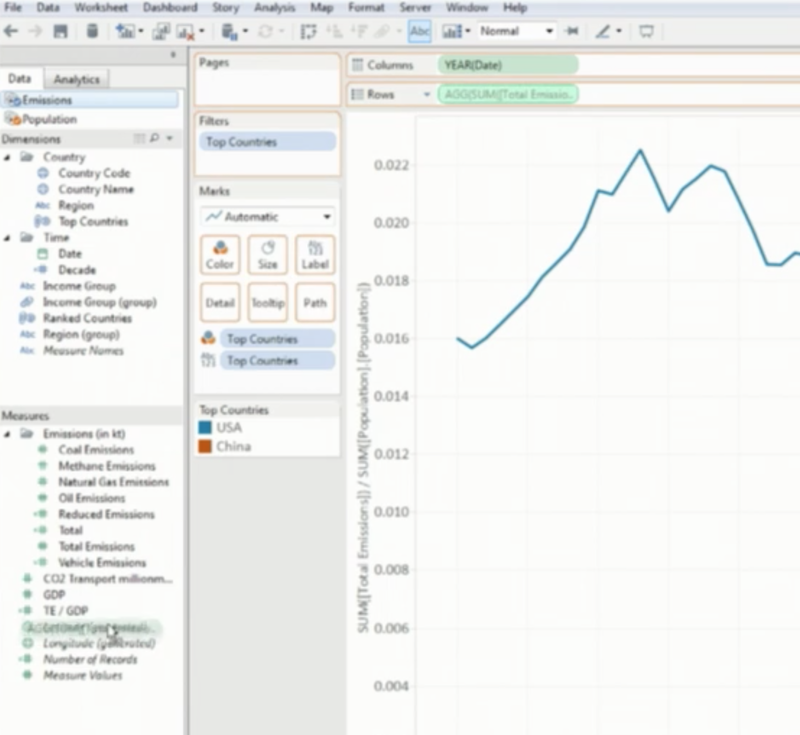 To improve performance on connections to live databases, tableau is working on sending multiple queries to these systems in parallel which reduces overall execution time building a dashboard. 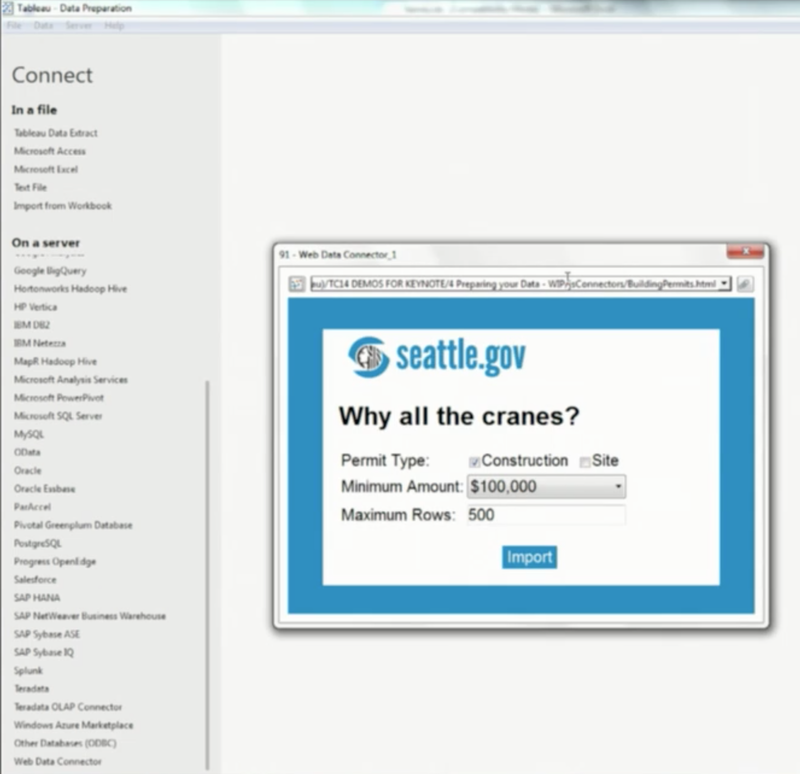 This also allows the database itself to share computations between related queries. 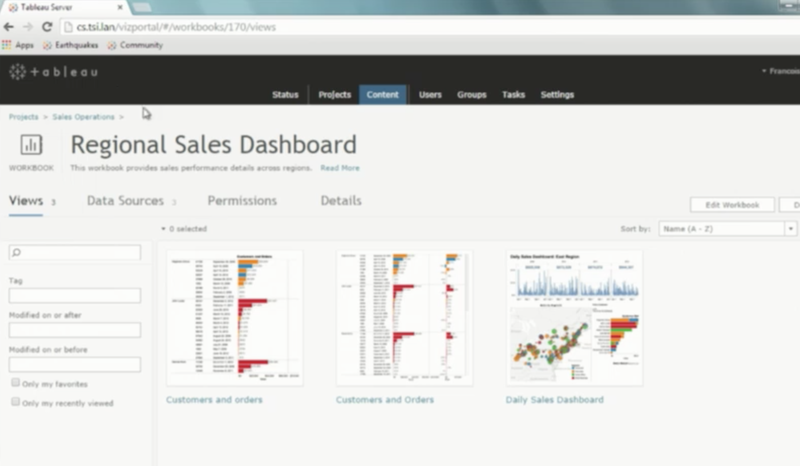 To build a dashboard like the one above, execution may look like this (Each bar is one query and tableau will run them one after the other). By overlapping these queries and running them in parallel the overall time to build the dashboard will be reduced. 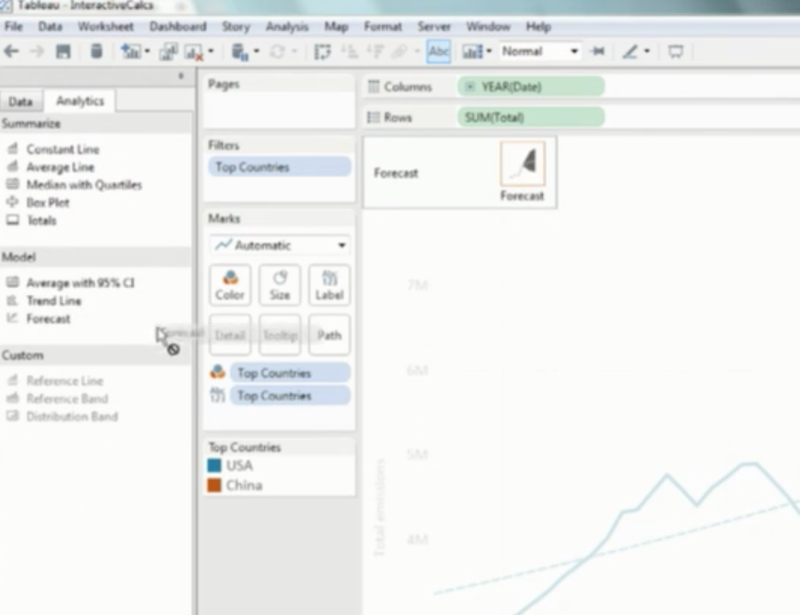 Currently, tooltips are displayed as you are interacting with a data point. As you move the mouse, the tooltip disappears and reappears once the mouse is over a new point. Future tooltips will be continuously shown to reflect the new point you are interacting with without opening and closing. Currently as you focus on specific areas of your maps, the image disappears and reappears as you pan. 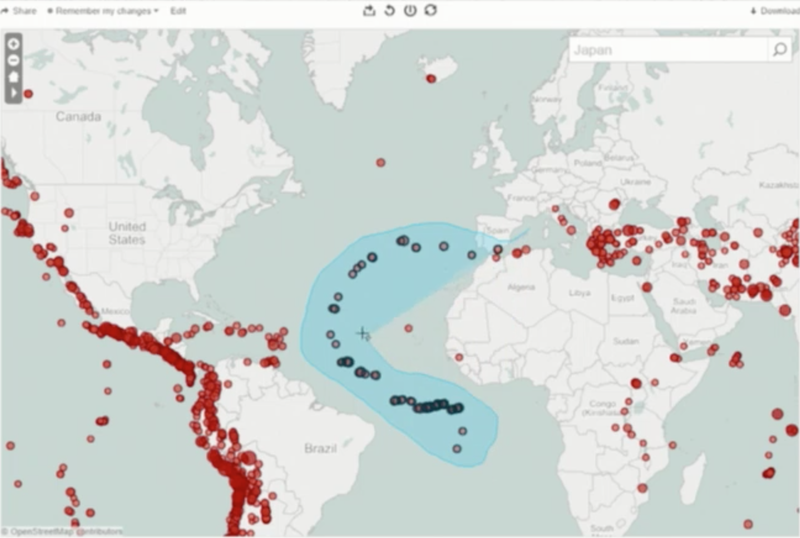 In the future, as you pan to focus on specific areas of your maps, information will be immediately displayed on the screen so you can keep focus on your data. 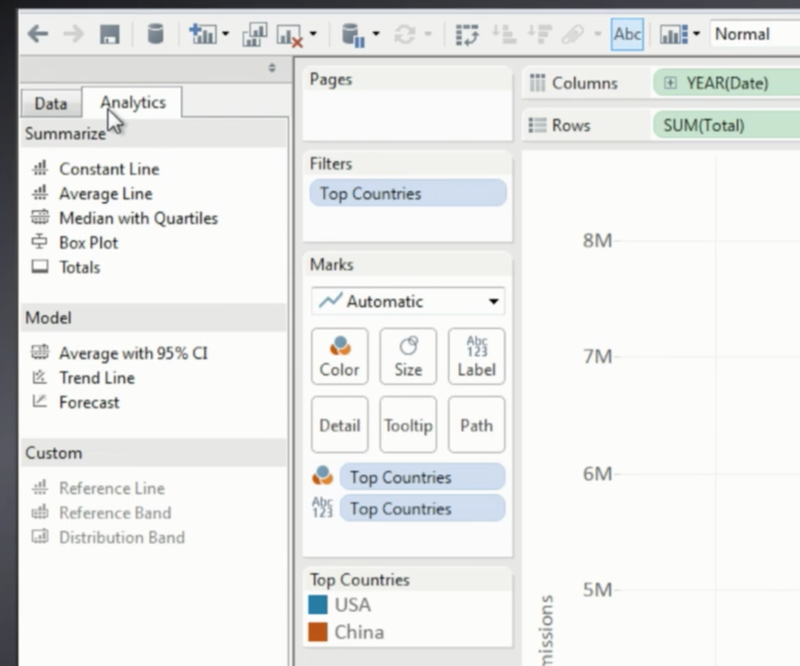 To scale the speed across all the organization, this feature will allow tableau to share query results among multiple users so they won’t have to be recalculated for each user (i.e. A user calculates the median for a large dataset, and if another user also needs the same calculation, it will be shared with that user). The next time someone opens the workbook, the calculation will be available instantly as it will have be already calculated. Persisted query caches will be shared among all processes on all nodes of the cluster, so that all users can benefit from the cache equally. The visual connector is being improved so that we can automatically split a data field. 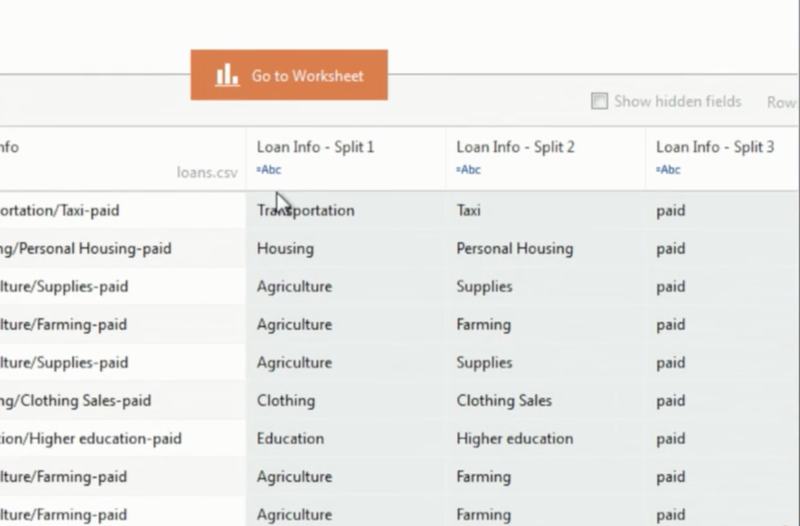 Take a look at the table below, where the data field “Loan Info” has 3 pieces of information. 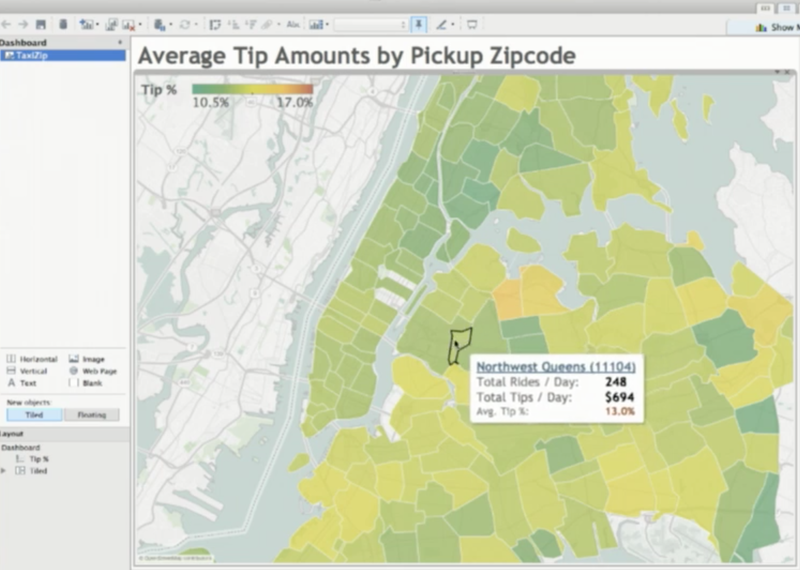 Tableau will be able to automatically detect this and split the data into the 3 corresponding fields. 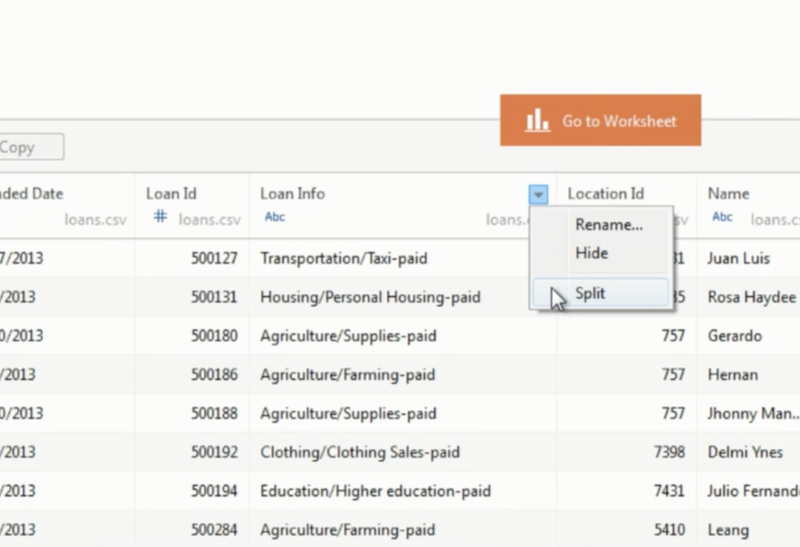 After selecting the split option, Tableau will take the Loan Info field and split it into 3 fields that you can rename accordingly. Sometimes the data we get in an excel format is not ready for use in Tableau. We have to remove extra headers, empty lines and columns, and sometimes reshape it. 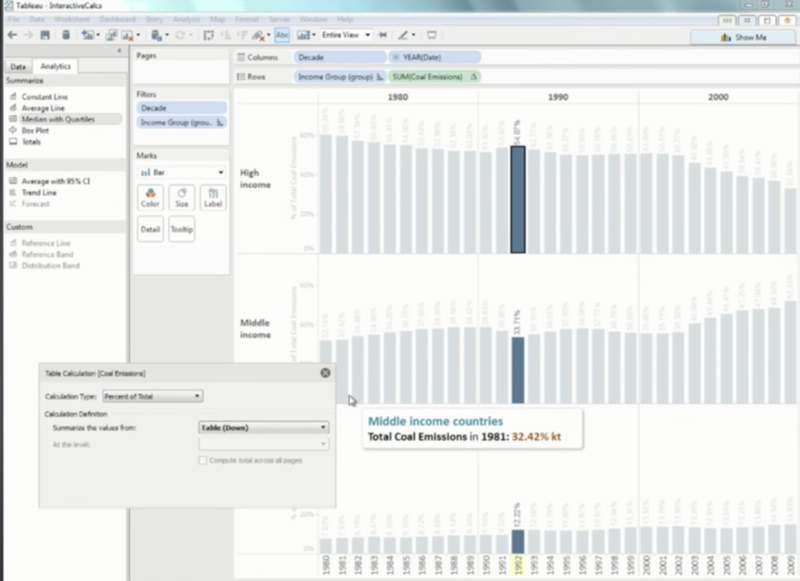 Tableau will in the future automatically preprocess the data so that this work doesn’t have to be done manually. In this example, we don’t want each year to be in a separate column, so the data can be further preprocessed by selecting the “Unpivot” option to reshape the data. 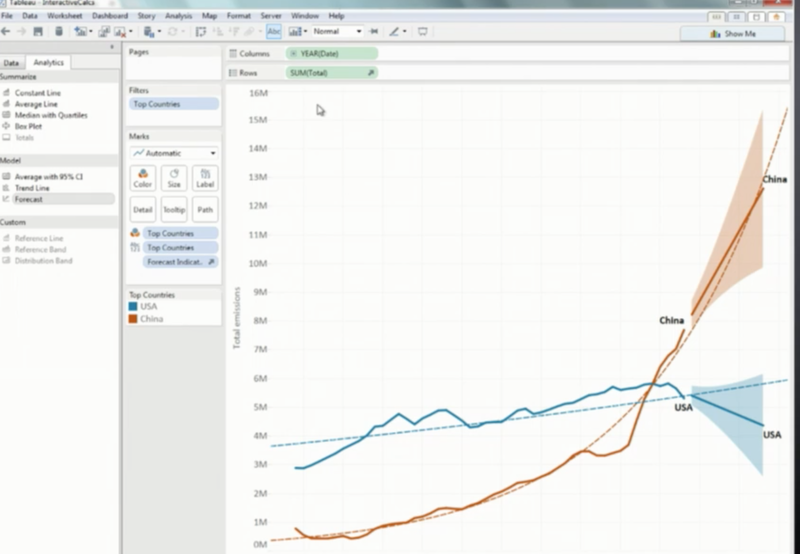 And the resulting reshaped data will be ready for Tableau. In worksheets with multiple worksheets and dashboards, it is sometimes difficult to find which charts to add to the story. To facilitate this process, thumbnails are being added. 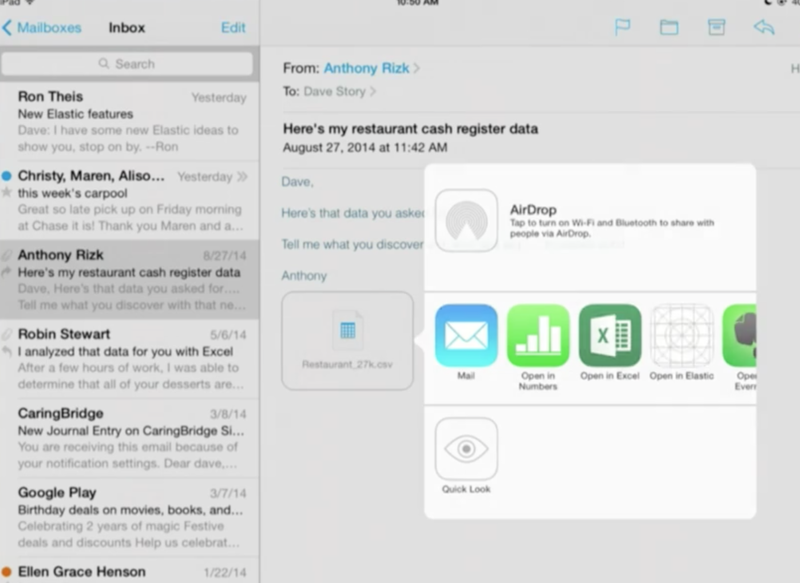 Control over fonts and colors will be given to the user. Stories won’t have to be just gray. There will be an option to add a navigator appropriate for linear story telling. (Small boxes with numbers encouraging people to step through the story). You will be able to change the navigator size and position. High availability will be easier to manage, with faster failover detection and unlimited active data engine nodes. 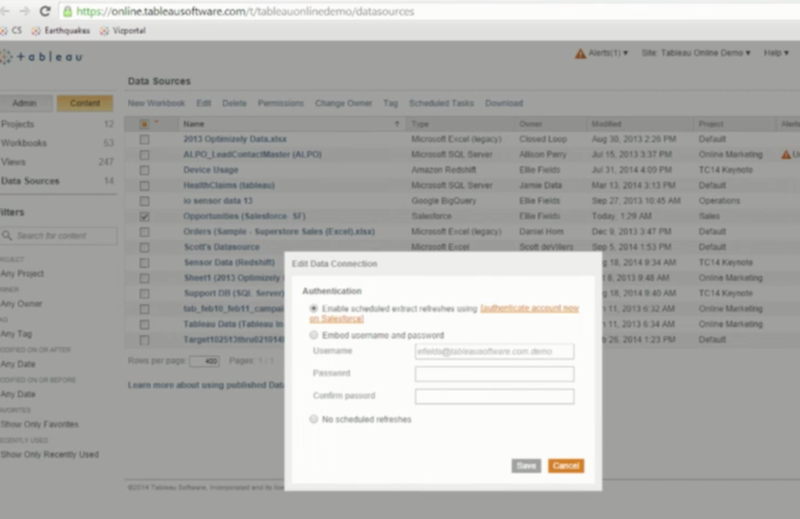 Tableau will support Kerberos (a user authentication standard used across enterprises to provide single sign on authentication from the client all the way to the database). 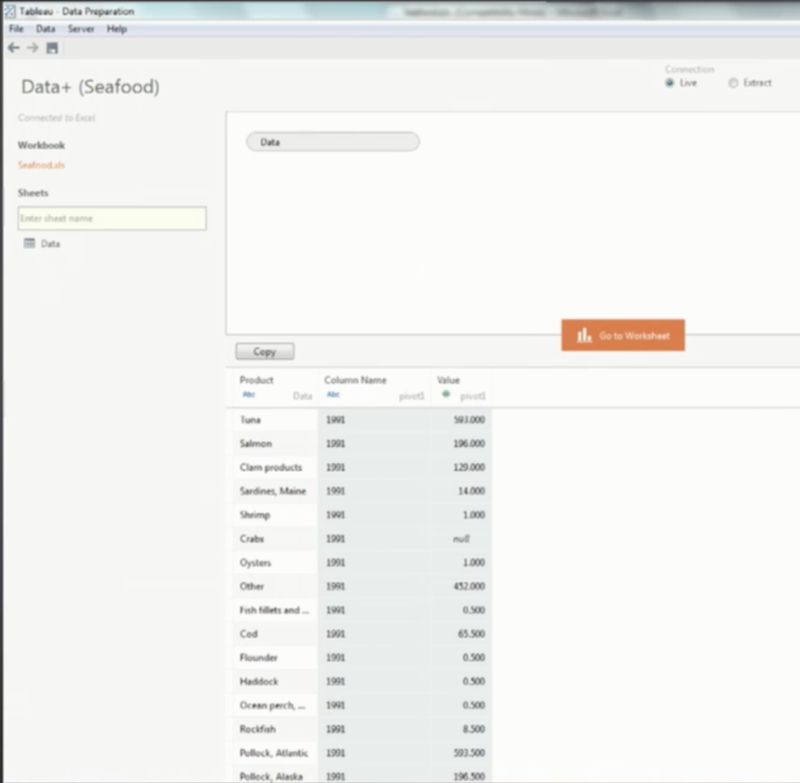 If your organization uses smartcards, you will now be able to login directly from Tableau desktop. 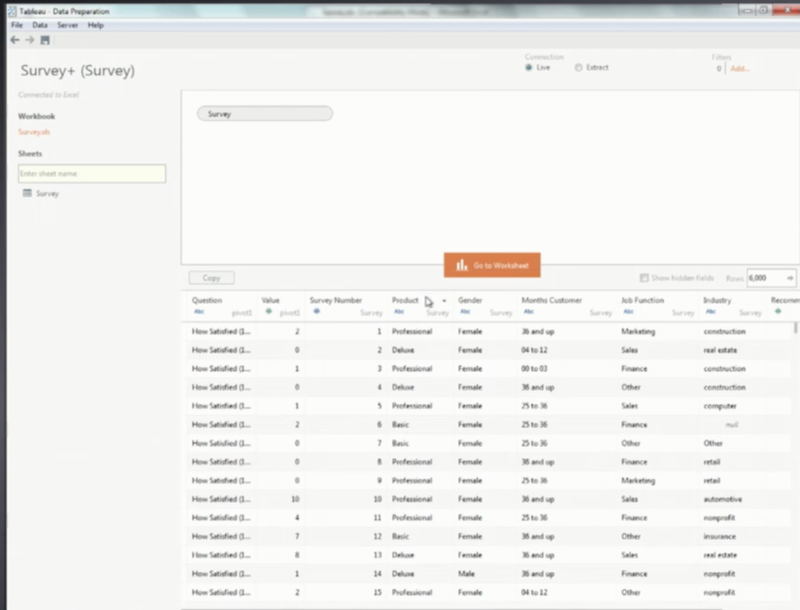 For each view on Tableau Server, information on where this view comes from will be provided (which workbook, which project). This way you will be able to navigate server more easily. Every workbook will have a page with a workbook description, and details on all the views on the workbook, its data sources and permissions. 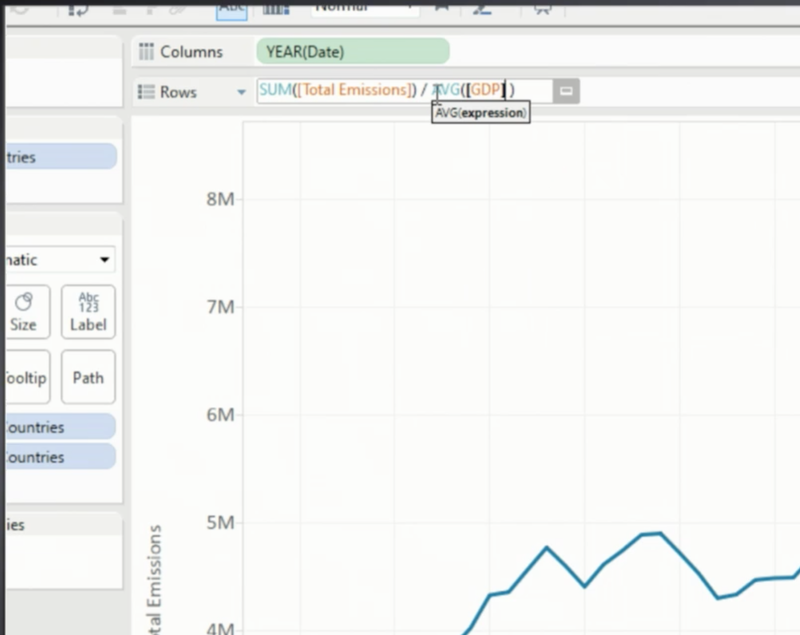 Tableau already offers live cloud to cloud connection for data that lives on the cloud so you can see data updated up to the minute. (Google analytics, Google Big Query). More data sources will be added as they are important sources of business data. You can keep salesforce data up to date via oauth. 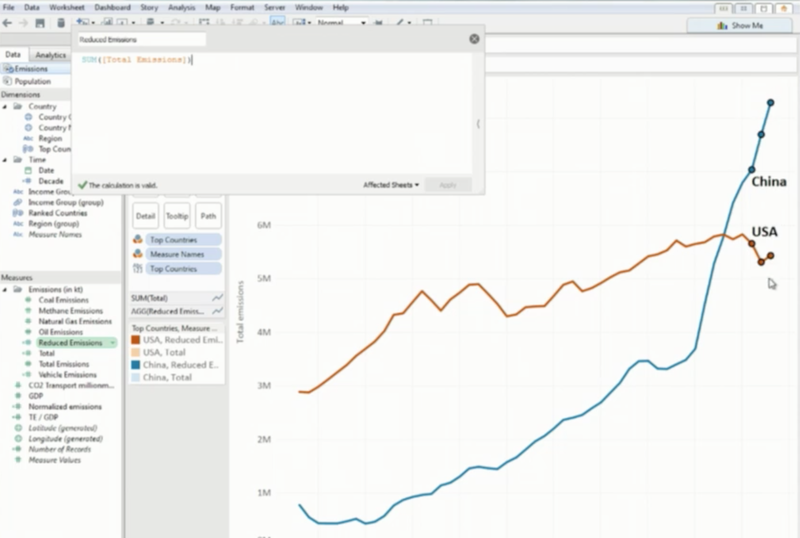 Currently the top two data sources used with with Tableau Online are Excel and sql server. The challenge is how to keep on premise data fresh. 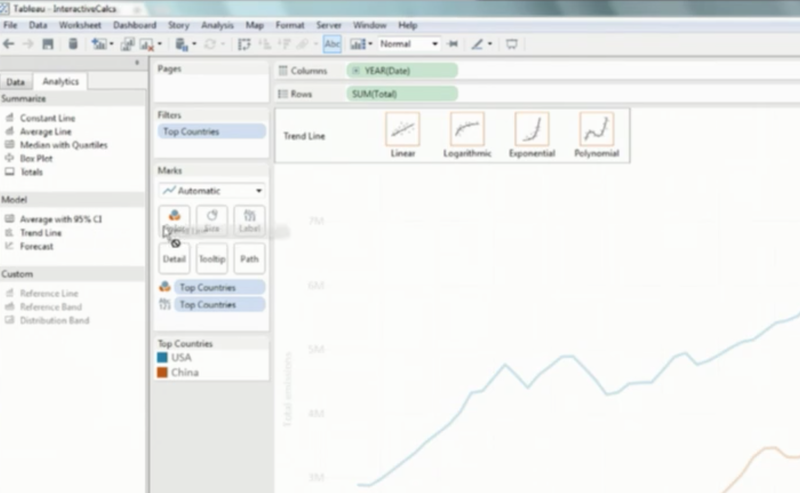 A new capability called Tableau Data Sync is being added, and it will help you publish on premise data to tableau online. Your machine will act as a secure agent to push local data up to the cloud on a schedule that you define. 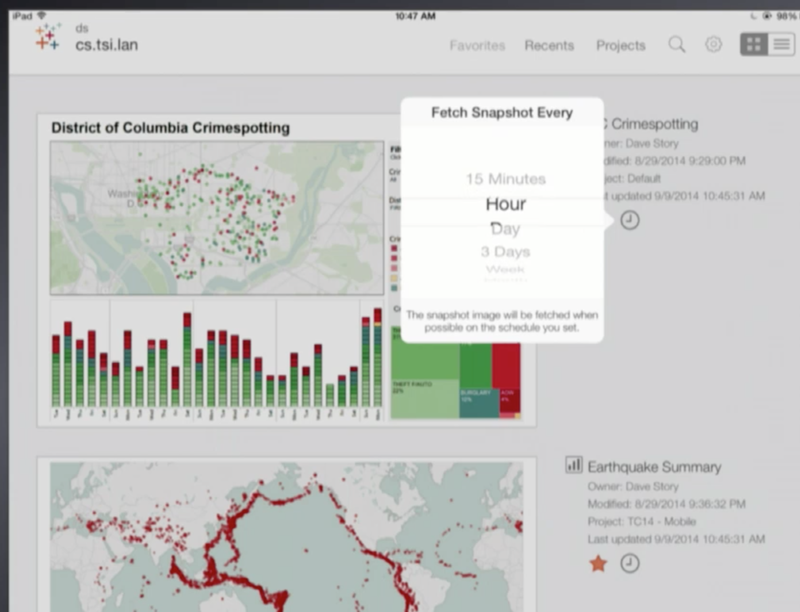 It is important to provide the ability to push dashboards to wherever they are needed. 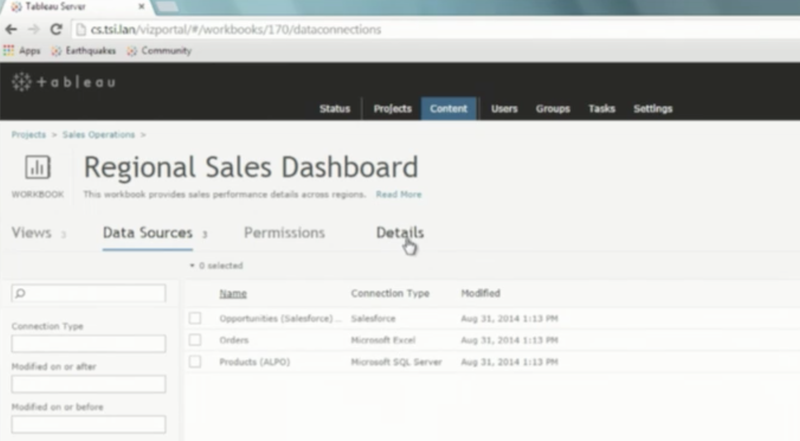 Recently the ability to embed interactive dashboards into salesforce was added. Now an add-in has been released that works with heroku and the salesforce canvas toolkit. 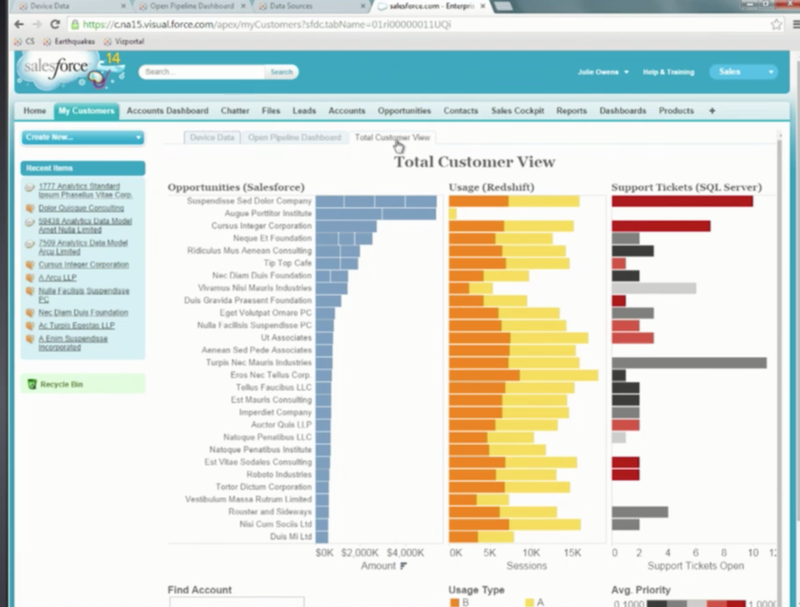 All visualizations embedded in salesforce will be updated automatically. 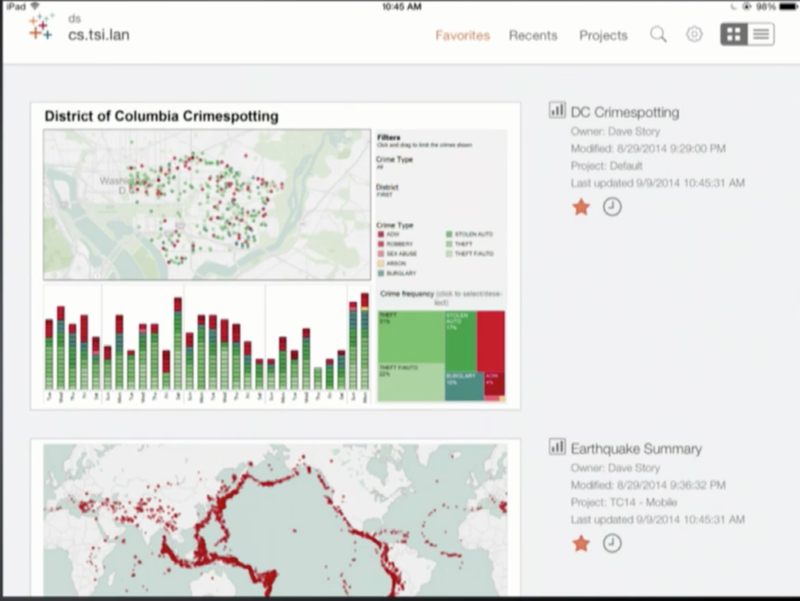 Tableau Mobile will have a new native User Interface. It has been fully rewritten to be faster and to show information coming live from the server fast. You will be able to tap on the measure, select “Create Calculated Field” and the calculation editor will open up. All new drag and drop capabilities will be added to mobile. Products are being designed to be web, mobile and desktop ready at the same time. Favorites will be displayed front and center. You will be able to view your favorite dashboards even when you are offline. 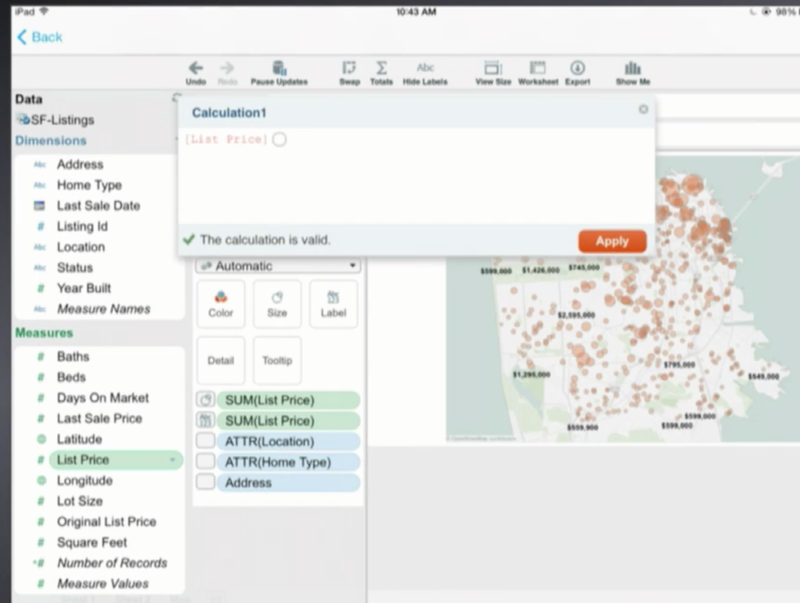 You can select how often you want your worksheets to be fetched, and Tableau Mobile will fetch them when you are on the network. What do you do if you have just a tablet and you get an email with a table in it. 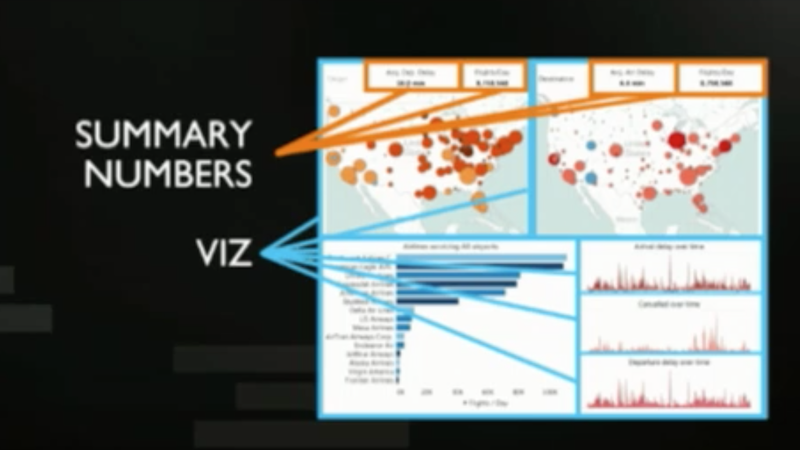 You want to understand and see your data, but don’t have Tableau or a Server. 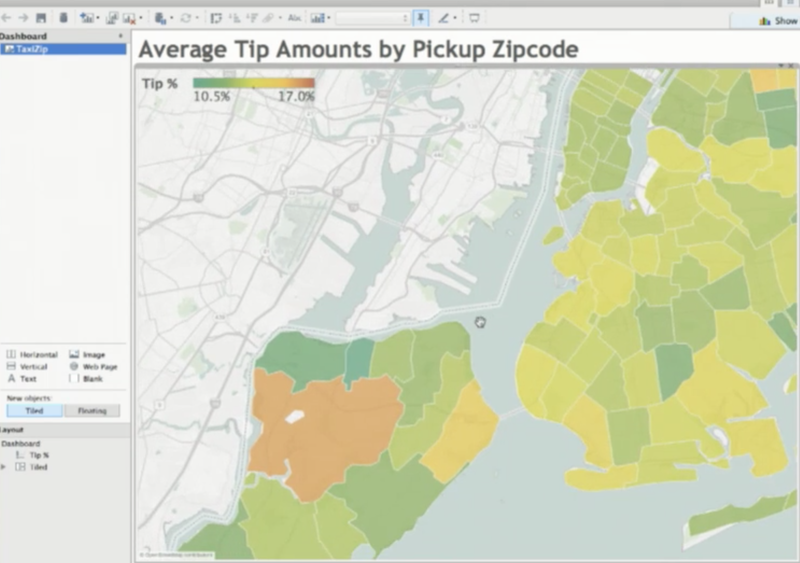 Tableau is building a new app that will provide a new experience to explore your data, as easy as using a pencil. It will be fun and fast. And it will stretch the definition of mobile analytics. 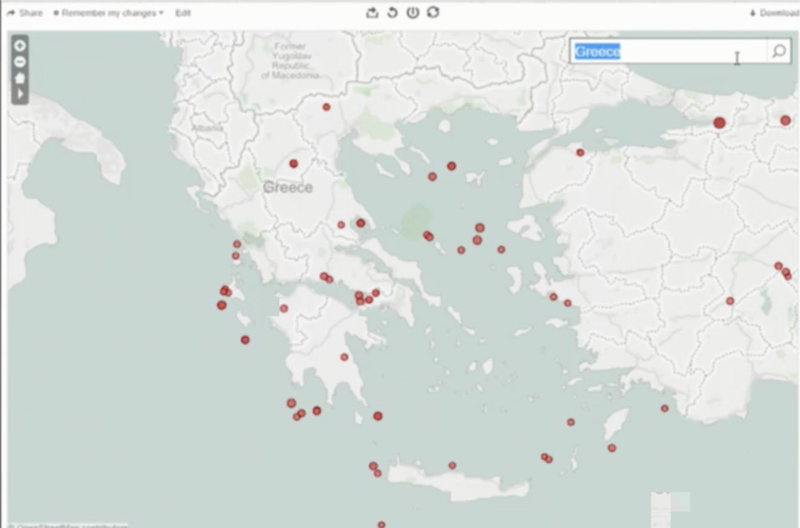 This project is called elastic and you can sign up to receive updates on this project at http://www.tableausoftware.com/be-elastic. 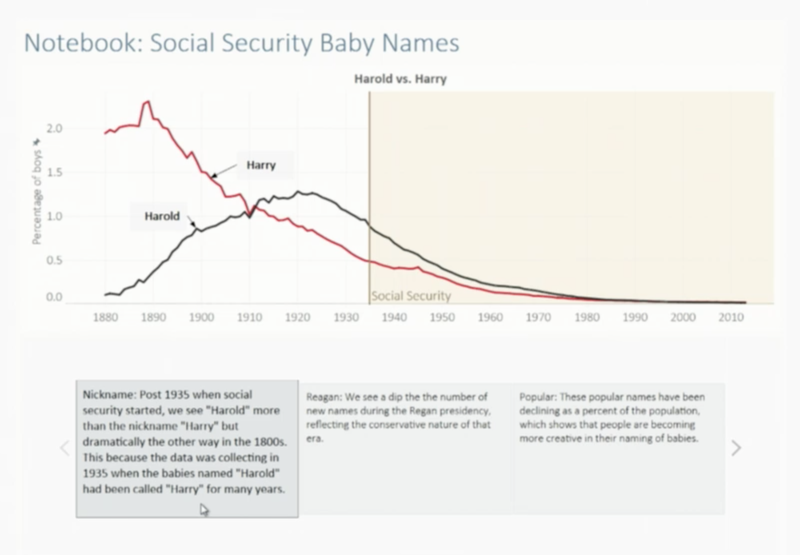 If you want to listen to the whole keynote, it is posted at http://tcc14.tableauconference.com/keynote. 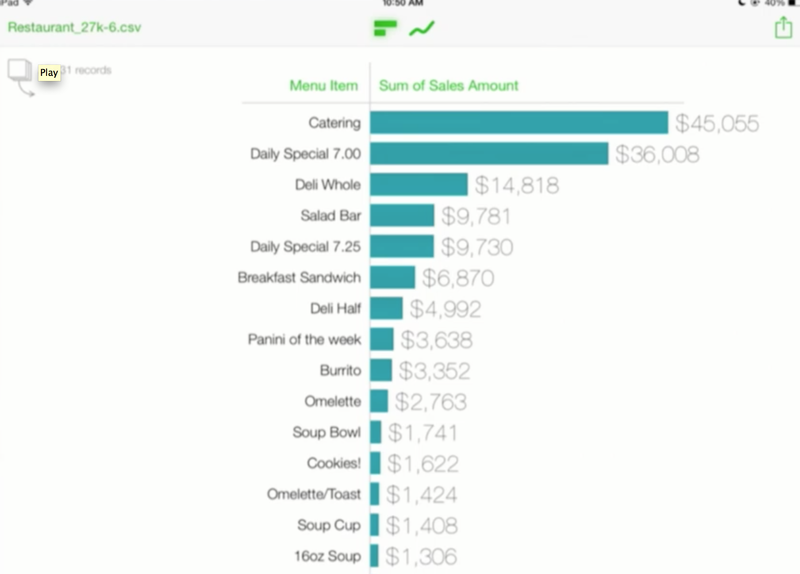 This entry was posted in Tableau and tagged Tableau, tableau conference keynote, tableau new features. Bookmark the permalink.